Saint Arnold Brewing along with the Houston Dairymaids is hosting a cheese and beer tasting featuring cheeses made by local Texas Cheesemakers. The event takes place at the brewery on Wednesday, August 11th from 6pm ~ 8pm. Tickets are $25 per person or $184 for a reserved table for eight. 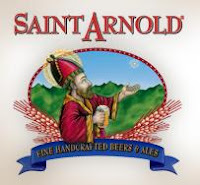 Call or email Ann (ann@saintarnold.com or 713-686-9494 x205) with your credit card to make a reservation. I love having cheese with my beer, particularly an aged Canadian cheddar with a hoppy Pale or IPA. sold out in 24 hours. my buddy tried to get us a table this morning. Wow, I guess lots of people like cheese with their beer. After looking at the Dairymaids website, I had no idea there were so many cheese producers in Texas. I definitely need to start looking for locally produced cheeses.